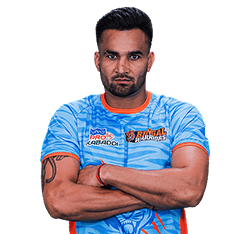 The player auction for season 6 of the Pro Kabaddi League introduced a couple of interesting and important changes to the process. These changes are a) the ability to retain players even prior to the auction, and b) the ability to retain players after the bidding is done by paying the same amounts for them. Let’s understand these two in detail first. Prior to the auction, the teams were given an option of retaining up to four ‘Elite Players’ from the previous season’s team and up to three New Young Players (NYPs) from the previous teams. The cost for retaining a player was a 10% increment on the player’s previous season’s auction amount. 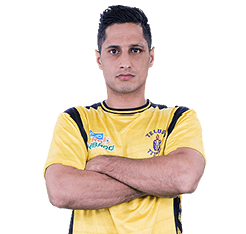 For example, Bengal Warriors had purchased Surjeet Singh for INR 73 lakhs in the previous auction. They chose to retain him for INR 80.3 lakhs (10% extra on 73 lakhs). For NYPs, the previous season auction amount was 6 lakhs. Hence, they could be retained at 6.6 lakhs. The idea of retaining players is important to franchise sports. This allows the teams to maintain a similar core of players across the seasons and lets the fans establish a connection with the teams through these players. The teams also have incentives in the process. They can continue to retain their cheap buys from the previous season at a cheap price (for e.g. the runners up Gujarat Fortunegiants retained Sachin for just INR 39.6 lakhs) and use the auction to build a squad around those players. Of course, there are branding and merchandising advantages as well. 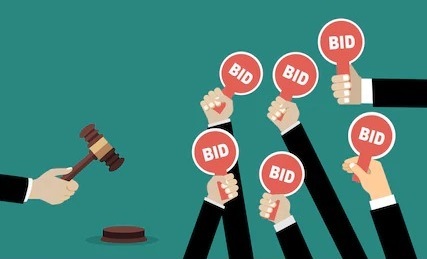 Teams were allowed up to two Final Bid Match (FBM) cards for the auction. Teams which had retained 4 ‘Elite Players’ had 1 FBM card while teams retaining less than 4 elite players had 2 FBM cards. Each FBM card allowed the teams to wait till the bidding for a player (who was previously on their team) was complete and then buy him back at the final price. 1 FBM card would allow the teams to do that once. Just like retained players, the FBM allowed teams to retain their core players. When should a team retain a player and when should they use the FBM? Do I want this player in my team? Is the retained cost of this player significantly lower than the expected auction cost of this player? If the answer to these two questions is yes, the team should try to retain that player. Of course, there is no sure way to come up with the expected auction cost of a player. But decent assumptions can be made to get to a range. FBM should be used for a player who can fulfil one of the pending requirements for the team (at that stage of the auction) and if he’s available at a cost that is lower than the expected cost of a competing player in that role. All in all, the idea is to get a good player at a bargain. Knowing that the use of the FBM on a player would imply that the team was happy with the player’s performance, let us assess some of the major Final Bid Match buys in this lens. 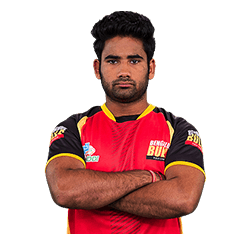 Bengaluru Bulls had bought Mahender for INR 20 Lakhs last season. In the previous season, the 22 year old emerged as one of the best covers available in the game with an average 5.1 tackles and 2.7 points every game. One could easily expect him to be one of the costliest covers in the auction. They could have retained him for INR 22 Lakhs. They chose to retain only Rohit Kumar. 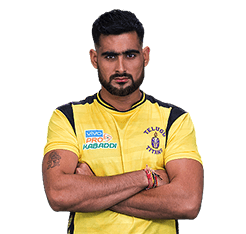 Retaining Rahul Chaudhari for ~INR 60 Lakhs would be a no-brainer. 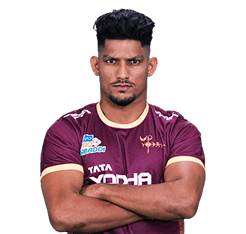 Just like Surender Nada was expected to be the highest earning defender, Rahul was expected to be the highest earning player (unless Pardeep was up for auction). But before classifying this as a bad move, let us analyse the situation in which the FBM card was used. Jang Kun Lee was a very smart buy. Had the Warriors decided to retain him, he would have taken almost INR 90 Lakhs from their purse. The used the FBM to get him back for just INR 33 Lakhs. Predicting the prices of overseas players is a tough task. Farhad could have been retained for INR 33 Lakhs. The Titans used the FBM to buy him back for INR 21.5 Lakhs. That’s another example of good business. 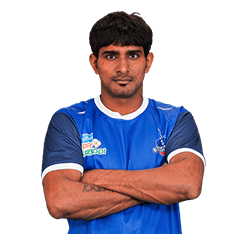 Ran Singh is a 31 year old Left Corner who is also a handy right raider. 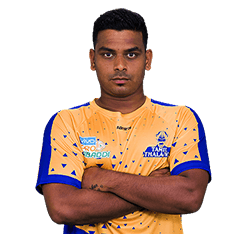 The Warriors could have retained him for INR 52 Lakhs. They used the FBM card to buy him back at INR 43 Lakhs. That’s why we believe the Warriors had one of the best auctions of all teams. 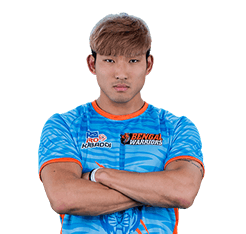 This entry was posted in Kabaddi and tagged PKL, PKL 6 Auction, Pro Kabaddi. Bookmark the permalink.